The substance mercury is a natural occurring element that can be found in the water, soil, and air. Although it has several uses in different industries, a small amount of exposure from mercury can cause serious health problems [1, 2, 3]. Mercury is the 80th element in the periodic table and is known as the symbol Hg. It is currently available in 3 forms namely: elemental mercury, inorganic salts, and organic compounds. Among these 3, the most poisonous form of mercury is the chemical compound methylmercury [1, 4]. This mercury compound is found in shellfish, fish and other animals that consume fish. In the medical industry, mercury has been an important component of several medications in the 1800’s. Nowadays, it is utilized as part of glass thermometers and silver-colored dental fillings. These fillings may contain up to 50% mercury by weight and can possibly release mercury vapors. Health effects of chronic exposure to mercury were observed in the workers of the hat-making industry where it is utilized in the manufacturing process. Fluorescent light bulbs, batteries may also contain small amount mercury [1, 2]. The deadliest form of mercury toxicity is by the ingestion of methylmercury through the consumption of fish and shellfish. This is because 90% of the mercury present in the food is absorbed in the GI tract. Its elemental form is used in thermometers and is in liquid form. It readily vaporizes at room temperature and can be inhaled. It is well absorbed in the lungs and about 80% deposits in different areas in the lungs. Based on the 2003 National Health and Nutrition Examination Survey in the United States, the toxic blood level of mercury is about 7.1 mcg/L and urinary level of 5mcg/L. Another reliable measurement of mercury exposure is the hair of the patient due to the ability of mercury to form covalent bonds will Sulfur. A mercury hair value of 1.2 mcg/g is considered toxic . The primary systems that are affected by the exposure to methylmercury and elemental mercury are the peripheral and central nervous system. Inhaled mercury can affect the nervous system, digestive system, immune system, lungs, kidneys and can be fatal . Symptoms of mercury toxicity may include insomnia, tremors, memory loss, motor dysfunctions, neuromuscular effects and cognitive dysfunctions. The effect to the kidneys may range from increased protein excretion in the urine to renal failure [1, 2, 3]. A pregnant woman consumption of fish and shellfish may expose the fetus to methylmercury. This affects the development of the developing brain and nervous system. The fetus may be born with deficits in cognitive thinking, visual, spatial skills, memory attention, fine motor skills, and language. The nervous system of the fetus is more vulnerable to the effects of methylmercury . This disease is named after a factory in Minamata bay which discharged inorganic mercury into its adjoining bodies of water. The fish found in the said body of water contains high levels of methylmercury and were consumed by the residents in the nearby village. The people manifested neurologic damage as evidenced by numbness in their extremities, visual problems, loss of hearing and ataxia. The fetus of pregnant women who consumed the fish were the ones who were severely affected as they are born with neurologic deficit. Traces of mercury were found in the breastmilk of these women and it prolonged the exposure of the babies to mercury . 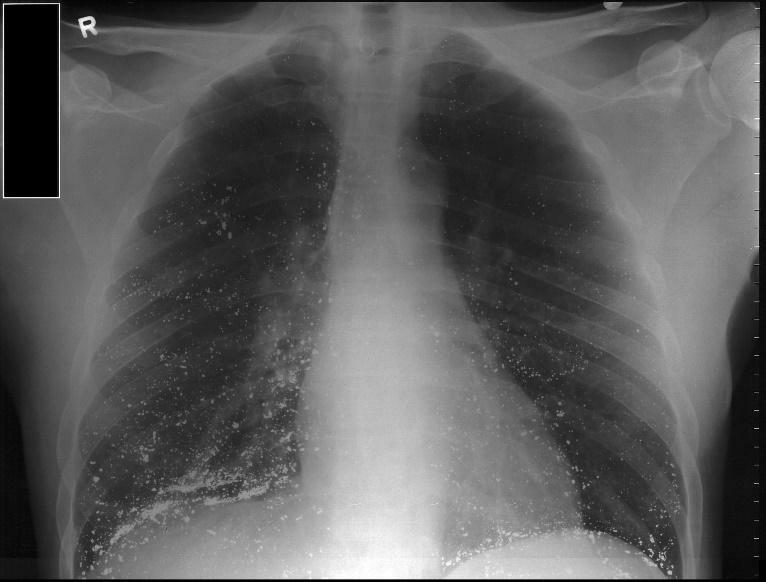 The initial priority for the management of mercury toxicity is to remove the patient from the site of contamination. Any clothing that may be contaminated should be removed and the affected skin is irrigated. Once a patient arrives at the hospital for mercury poisoning, the priority is to maintain the airway, breathing, and circulation of the patient. Oxygen support may be provided depending on the need of the patient. An intravenous access will be established for the administration of fluids and medications . When the patient is stable, reducing the mercury load of the patient may commence. Activated charcoal may be used because of its ability to bind the mercury. Gastric lavage may also be done for the ingestion of organic mercury compound. Bowel irrigation is also recommended until the rectal effluent becomes clear and no radiopaque material is present. Other chelating agents that can be used include dimercaprol and polythiol. Hemodialysis may be performed once the patient becomes asymptomatic and the blood mercury level returns to normal . Preventing methylmercury toxicity is mainly through avoiding seafood that is rich in organic mercury. Pregnant women should limit their intake to avoid the repercussion on the fetus. Workplace exposure to mercury can be prevented through the use of proper personal protective equipment. Proper disposal of industrial waste is also key in the prevention of mercury poisoning. Mercury-containing products such as batteries and thermometers should be disposed properly to avoid the leakage of mercury in landfills [1, 2, 3, 4]. The World Health Organization (WHO) listed mercury is one of the top ten chemicals of major public health concern. Sufficient information is required to prevent the toxicity from mercury. If you know more about the toxicity from mercury, you can share it with others through the comment section below. You can also share this article to your social media sites to help spread the word.